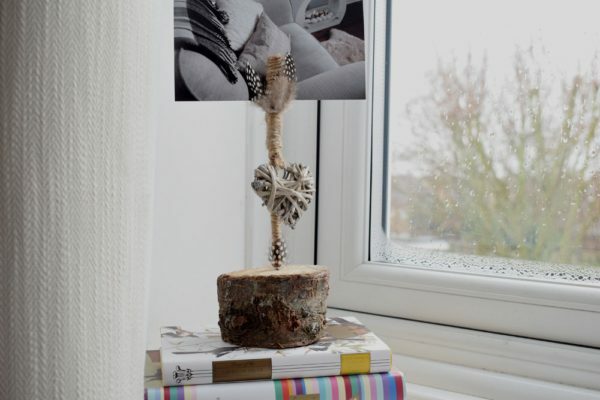 Big fan of really easy DIY? I really enjoy making place names and Christmas seems to be the most popular time for it. 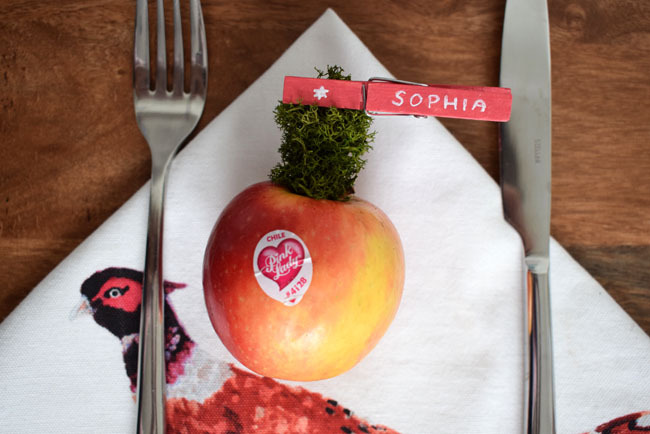 But, as I don’t want to wait a whole year before making more and wait to invite friends round for dinner, I decided to try out these super cute, super easy DIY place names with an apple as the holder. 1.Decide on the Theme. I chose pink because I feel it goes really well with the apples and it’s perfect for a girl’s dinner party I’m about to throw. 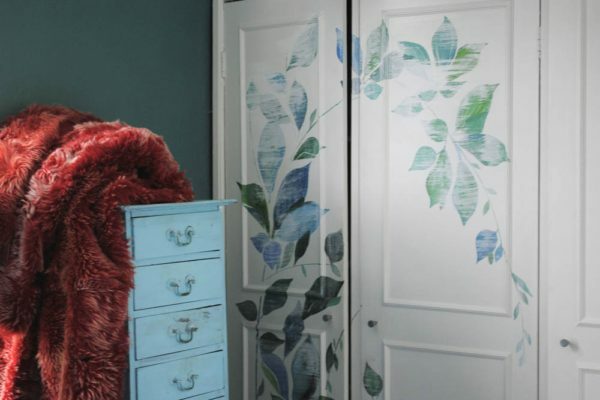 It’s a feminine colour that’s also energetic and lively. 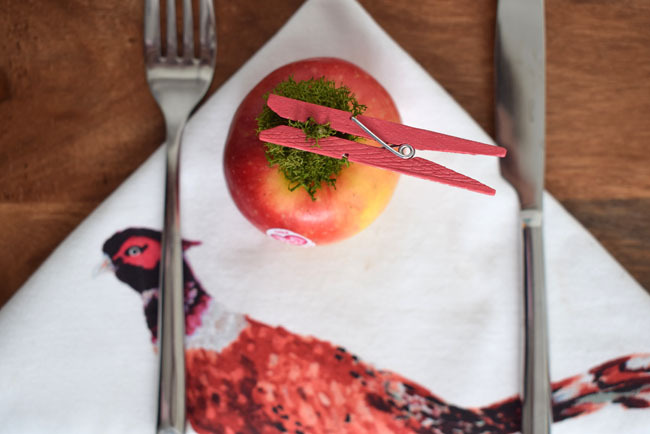 The pink paint I used is actually the scanned pink shade of a Pink Lady® apple, which I absolutely love and think it goes perfectly with the apple base and place holder. 2.Prepare your peg. 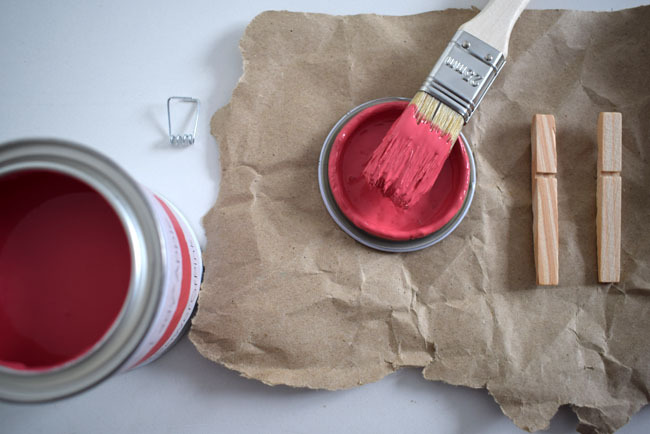 Paint your peg and put aside to dry. After it’s dry simply use your gel pen to write the name of your guest on the top of it. I also added a cute star or heart next to the name. Feel free to decorate it however you like! 3.Prod the apple. 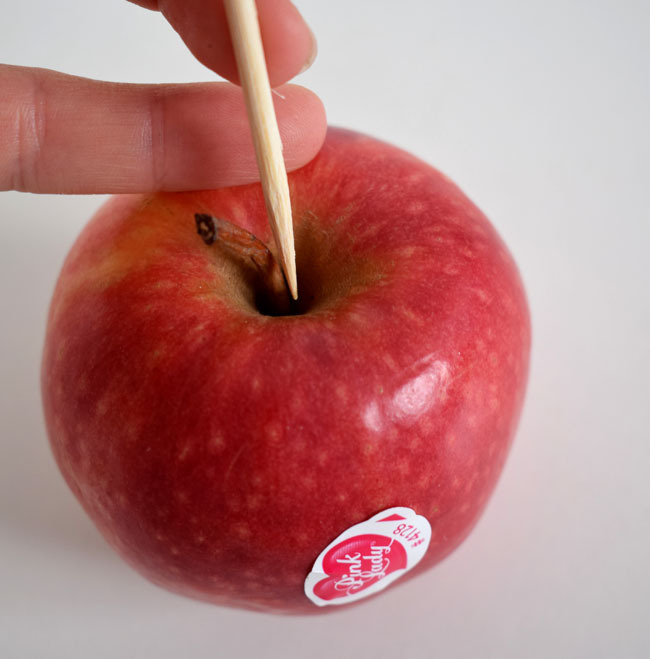 Pierce the middle of the apple where the branch is using the pointy end of the bamboo stick. 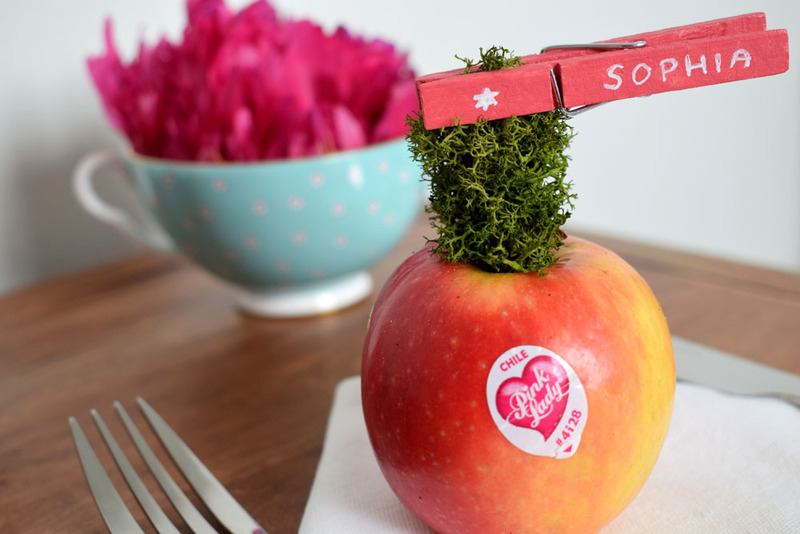 Cut it to size or wait until you’ve finished decorating the apple with the flowers and peg, then cut it to size. 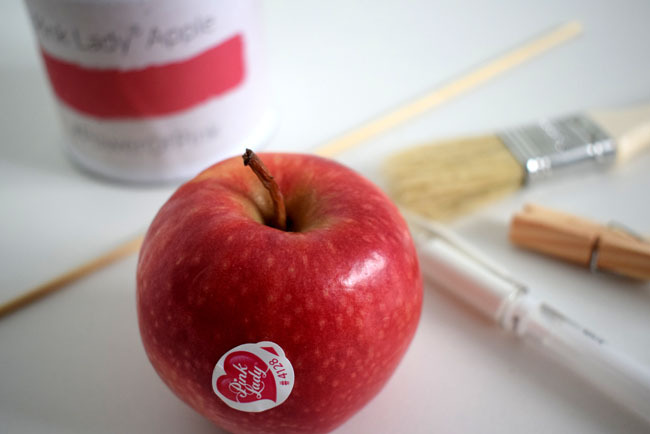 4.Decorate the top of the apple. I used moss to cover the bamboo and held it in place using the cute painted peg. 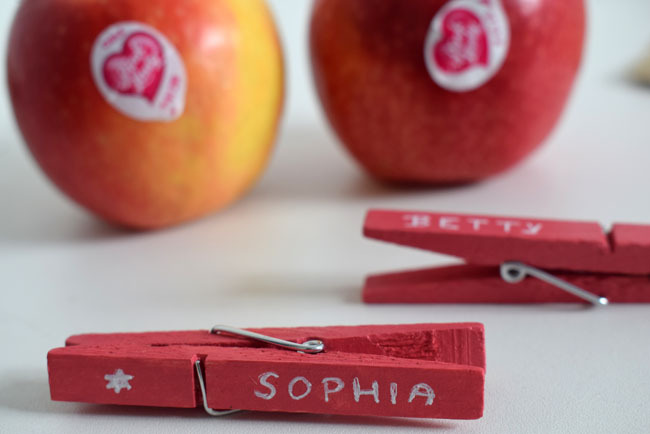 I loved the finished look with the name of the guest on the peg with the simply decorated apple. 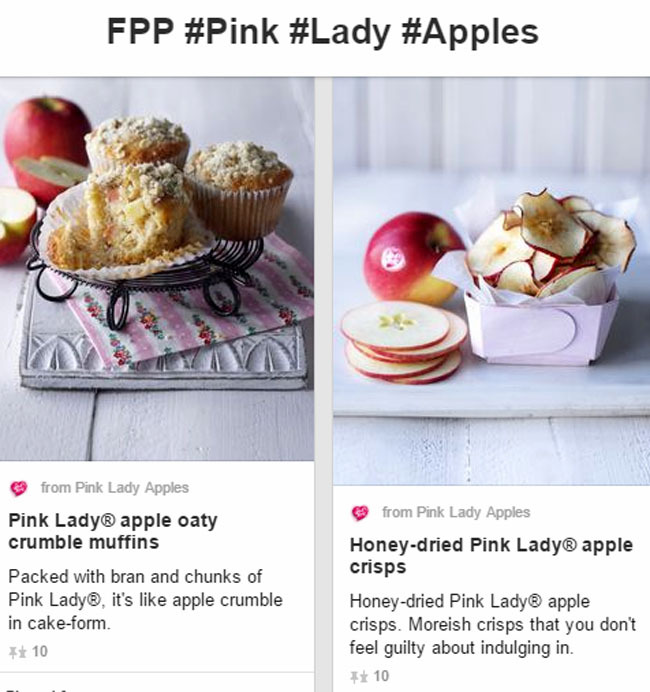 Now all you’ve got to think about is what to do for dinner and I have some great apple recipe ideas in my Pinterest board below (click on the image to go to it). Not only does pink have pleasant psychological effects but when we eat pink food it’s associated with sweetness. Plus, eating bright fruits and veg make us feel good and healthy, right? Love this! 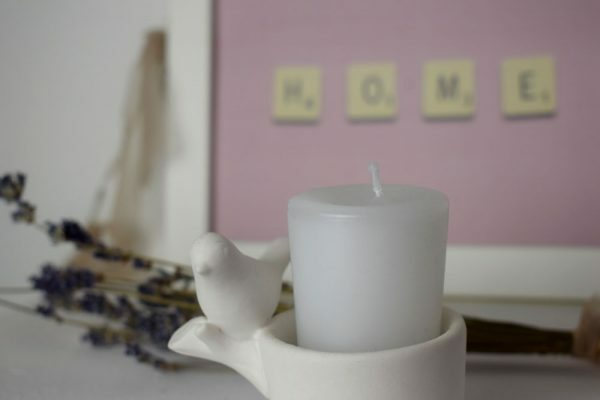 Such a cute and easy idea which I had never thought of before! Love your pictures. 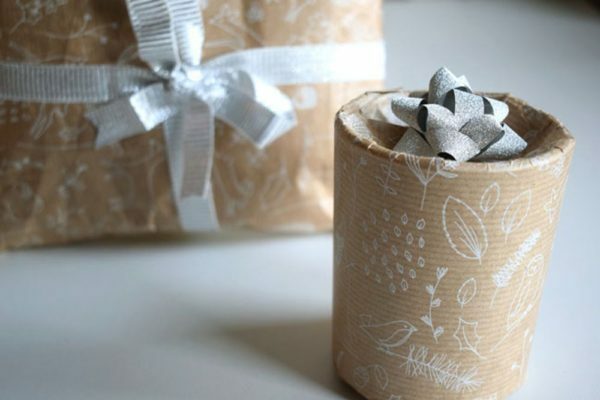 I will try my hand on making this. Sophia is my niece, a gorgeous name indeed! 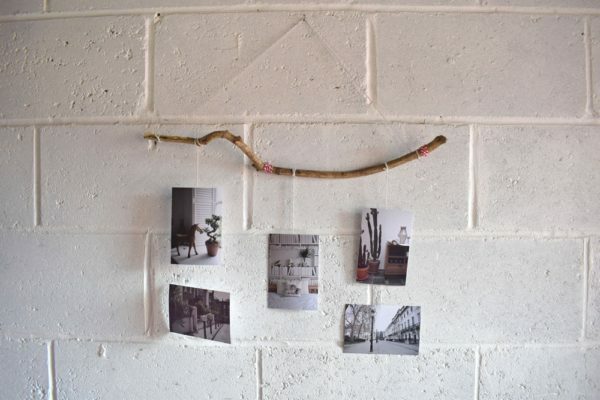 That’s so original, simple and beautiful. Brilliantly done! Thanks Grant, that’s very nice of you to say. Oh dear Kerry, haha. Maybe this is something your kids can help with for a family dinner instead? 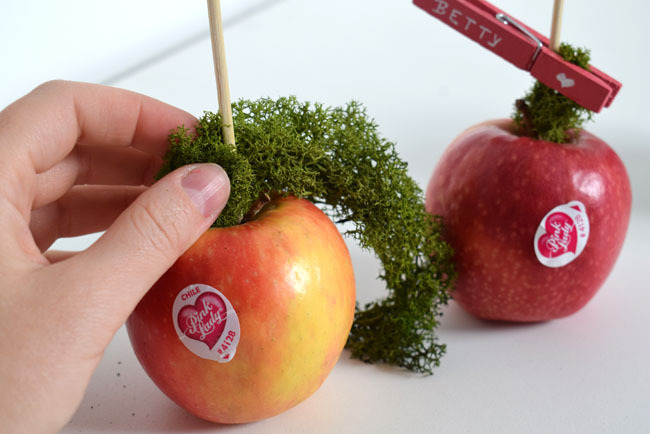 This is far better than your standard place name, I love the idea of using a pink lady apple. That’s so true, I didn’t think of that – thanks for the tip !